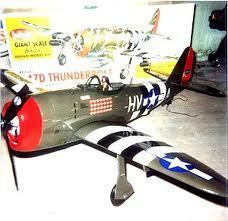 Mr. Bill Gaylord has been gracious enough to allow me to post photos and information about his fine Guillows free-flight model airplanes that he has converted to electric powered R/C. 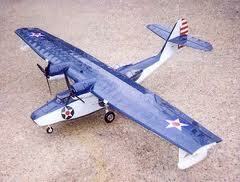 The PBY is about 30oz, with a 3s-2100 lipo. 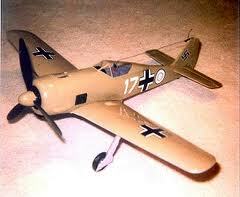 With the massive wing area, it is actually a reasonably light wing loading. 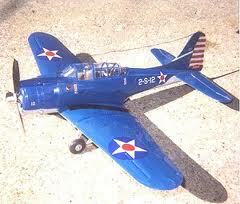 The span is stock, but the engines are moved out about 1" each, to use Master Airscrew 6x4 3-blade props. The plane is fully Monokoted for waterproofing. Also has a fully sheeted fuse, with foam sealed door lips. Removable wing with adjustable struts. The floats fold into the wings with magnets. The landing gear is removable. 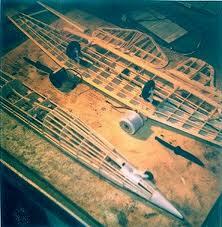 Extensive carbon fiber and cf spar and rod, for reinforcement. Took a build photo of the DC3. Pretty much at the covering stage now. 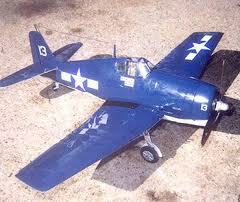 Have steerable tail wheel and rud/elev/aileron linkage setup. The motor mounting is interesting. I used the kit's balsa nacelle frame, reinforced wtih carbon fiber spars. Glued spruce blocks to the ends of the frames, for the motor mounting screws. I used the Guillow's wheel halves for the motor mounts. Couldn't have asked for a better mount. I have a whole bag of them, since I usually use better wheels. Same goes for the red propellers. I was planning on 3 blade props, but they load the motors too much. The GWS 350 motors w/heatsink using GWS 4530 props really seems to put out. Love that twin harmonic hum. Not too worried about thrust now, especially using the new 1320-3s Pro Lite lipo, with 17A cont rating. The landing gear is mounted in GWS gear mounts, as I am not very keen on gluing gear wire to wings with balsa. Most of my plastic parts are cut out now. Gotta love those thin plastic detail parts. They only look as good as the effort put into them. Their pilots can actually look very good, and are about the lightest available. 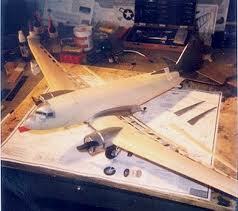 The DC-3 has about 161" square wing area now. Stock is something like 145, which is too small for the weight of 2 motors, and lost wing area from the nacelles to boot.